Though it’s extremely difficult to photograph with the palms crowding out the facade, this courthouse is worth checking out when you’re in the area. 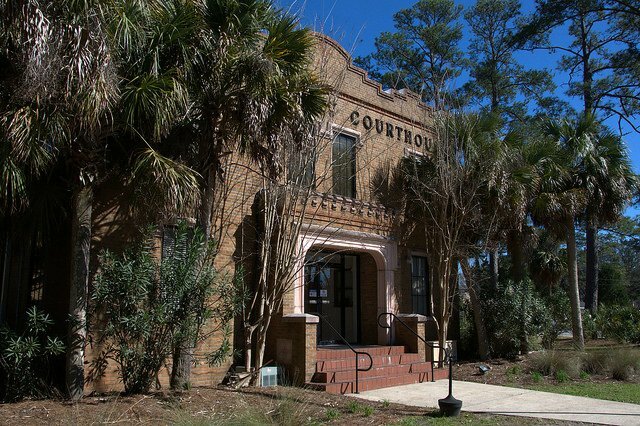 It’s one of only two Gothic Revival courthouses in Georgia. The other is in Barrow County. This style is rarely found in public buildings in Georgia. 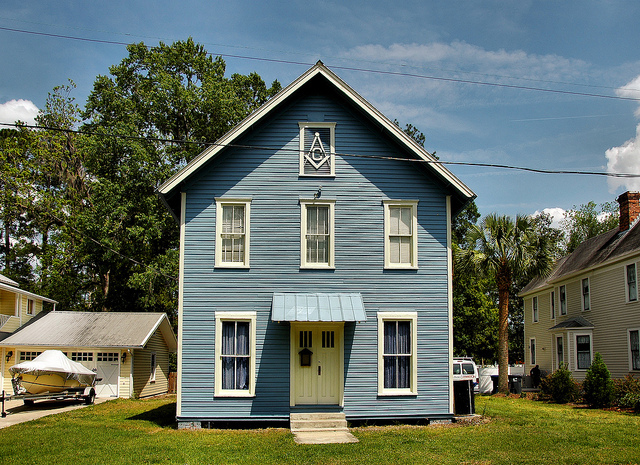 Julian de Bruyn Cops of Savannah was the architect. 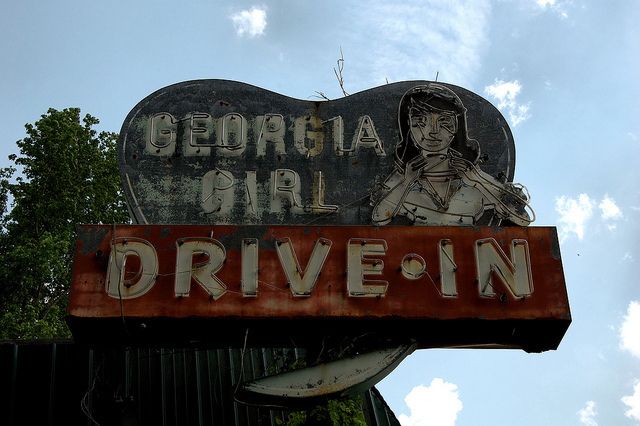 The Georgia Girl Drive-In was owned and operated by Davis & Lillian White. Thanks to their son Mickey for bringing this to my attention. This is just south of Woodbine on US Highway 17. It’s been widely photographed, the most famous of these images having been made over 30 years ago by the late Jack Leigh. Various signs, from Coca-Cola to Sunbeam, have been removed or stolen over the years, but the architecture remains interesting, especially the oversized pit chimney. Thanks to Terry Proctor of Woodbine for clarifying its identity. I had originally called it Bell’s Bar-B-Q, but Terry thinks that was across the highway. He also notes that Moody’s was the standard by which all barbecue in the area was judged for many years!